Megadeth frontman Dave Mustaine posted a holiday message to fans on Monday. Megadeth are currently in the studio working on their 14th album with producer Johnny K.
The new album will be the first by the band in a new label situation, as they recently announced the completion of their deal with Roadrunner Records. 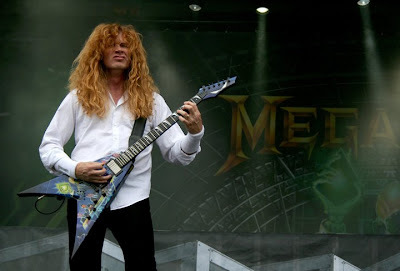 Megadeth’s last set was 2011’s “Thirteen”; the track "Whose Life (Is It Anyways?)" is nominated in the Best Hard Rock/Metal Performance category at the 55th annual Grammy Awards, which will be held on February 10 in Los Angeles.